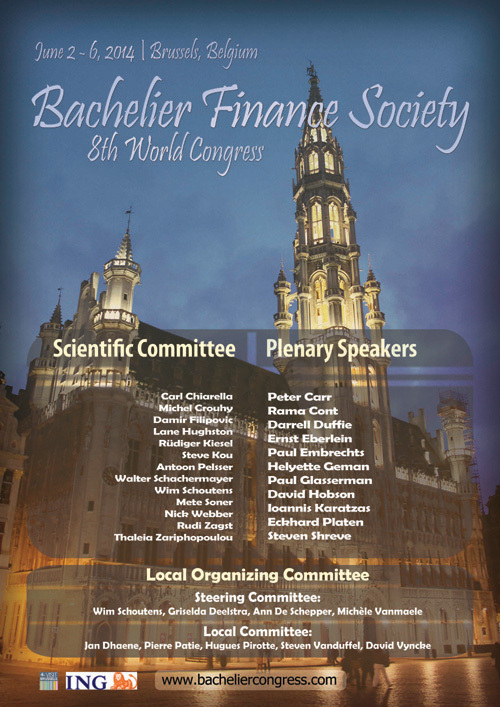 The World Congress of the Bachelier Finance Society is the premier event in the international quantitative and mathematical finance calendar, attracting hundreds of participants every two years. 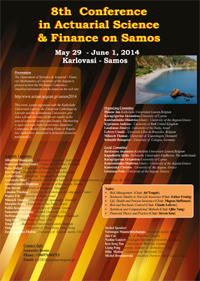 The 8th World Congress will be held June 2-6, 2014 in Brussels. The congress is jointly organised by Katholieke Universiteit Leuven, Universiteit Antwerpen, Universiteit Gent, Université Libre de Bruxelles and Vrije Universiteit Brussel, with the support of the National Bank of Belgium.